A custom animal is priced by the hanging or dressed weight, which means after the head, feet, and organs are removed. This price includes cutting, smoking (if applicable,) vacuum sealing, freezing and delivery to any of our local states. From here you get to choose! The amount of meat you will put in your freezer will depend upon how you have it cut ( bone-in cuts vs boneless cuts.) 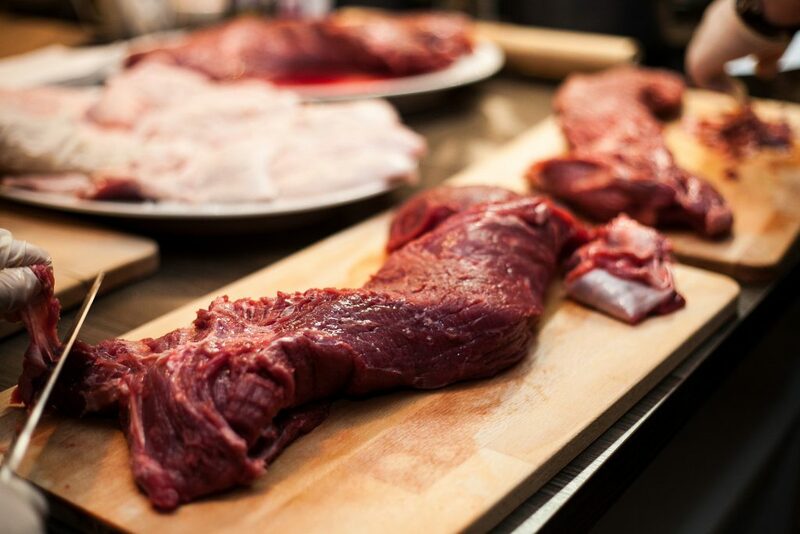 You should receive between 55-65% of your hanging weight in meat, depending upon your cut list choices. For freezer space requirements, you can estimate you will need 1 cubic foot for every 30 lbs. of meat. Upon placing your order, you'll be required to pay a deposit. Once we have the hanging/dressed weight of your animal you'll be invoiced the full amount as well as given an estimated date of delivery.